Do you already work with students? Would you like to work with students individually and help them to reach their true potential? 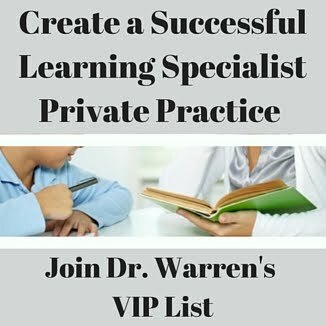 Do you like the idea of having your own lucrative private practice where you can create a unique learning plan for each student? Would you like to have the freedom to set your own schedule? If you answered yes to these questions, then I can help you. Whether you want to create a private practice from scratch, or you already have an established business, you can now gain access to my secrets, expertise, methods, swipe notes and a supportive community of like-minded professionals. I have over 20 years of experience, and I share this in my courses as well as in my Facebook support community. My Courses are Now More Affordable! Did You Know Reading Skills Can Be Improved by Singing Songs? 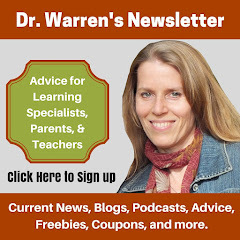 I am so pleased to feature this insightful and informative blog by early literacy and reading specialist, Nancy Platt! 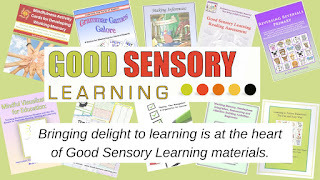 Nancy worked as a children's librarian for 15 years at the Ferguson Library in Stamford, Connecticut, and she is passionate about multisensory and play-based early education. Currently residing in the Dominican Republic, Nancy is furthering her expertise in advocacy, language acquisition, and bilingual education. If you have a child or a student with reading problems or dyslexia, you may be surprised to know that using songs and music can help! When children are babies and toddlers, parents and caregivers often sing and recite nursery rhymes to their children. But what can you do if your child is well past the preschool age and is struggling? Revisit the classics, and find new ones! What is Visual Tracking and How Can it Improve Reading? Many students have difficulties reading text from left to right and from line to line. Although some outgrow this difficulty, other's need extra help to develop this skill. Tracking is the ability to move one's eyes smoothly across the page and from one line of text to another. Problems can arise such as eye fatigue, word omissions, reversals, losing one's place while reading and most importantly these difficulties can negatively impact reading comprehension.